Animas River Days 2018 — San Juan SUP Co. The day begins with whitewater slalom & continues with freestyle kayaking, boatercross, surf competitions, a raft sprint & ends with the river parade! Animas River Days started in 1983 when local paddling legend Nancy Wiley put on the first whitewater rodeo in Durango, CO. As time went on, Animas River Days has drawn paddlers from all around the world to its events. Durango’s Whitewater Park has hosted the U.S. National team trials for freestyle, slalom, and wild water events as well as the U.S. National Championships in slalom and open canoe slalom. 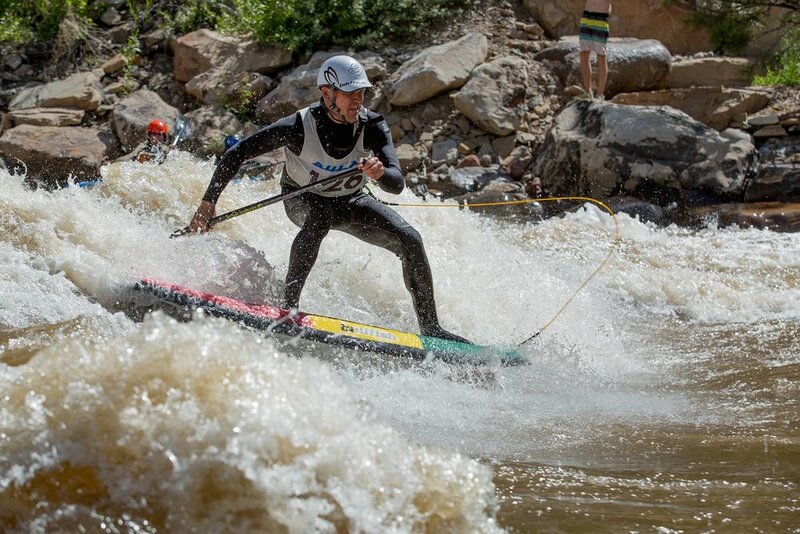 From 1989 to 1996, Durango was also the host of the Champion International Whitewater Slalom Series. Our new, world class whitewater park opened in 2014 with key features including Smelter Rapid, Corner Pocket and Ponderosa. This year we expect teams from Jackson Kayak, Badfish, Liquid Logic, Red Bull, Pyranha, Hala and SOL to compete at the Pro Level. We also have many talented local paddlers who will show off their skills during the events! Visit https://www.animasriverdays.com/ for more info!